Dr. Alfred Mutua, the Machakos County governor is the talk of the town. 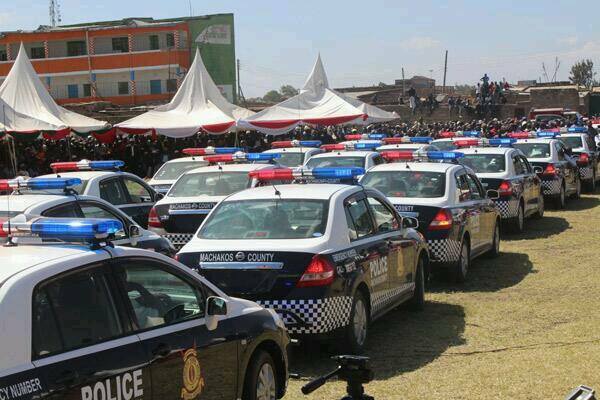 Yesterday, the governor launched one of the biggest security measures to be seen in Kenya in recent years. He flagged off 120 police patrol cars fitted with high-powered communication radio and CCTV cameras, which will be based in every location within the county. Dubbed ‘Machakos County Comprehensive Security Programme’, the project is expected to supplement the national government’s efforts in enhancing security through facilitation of numerous security equipment installations to police the county. 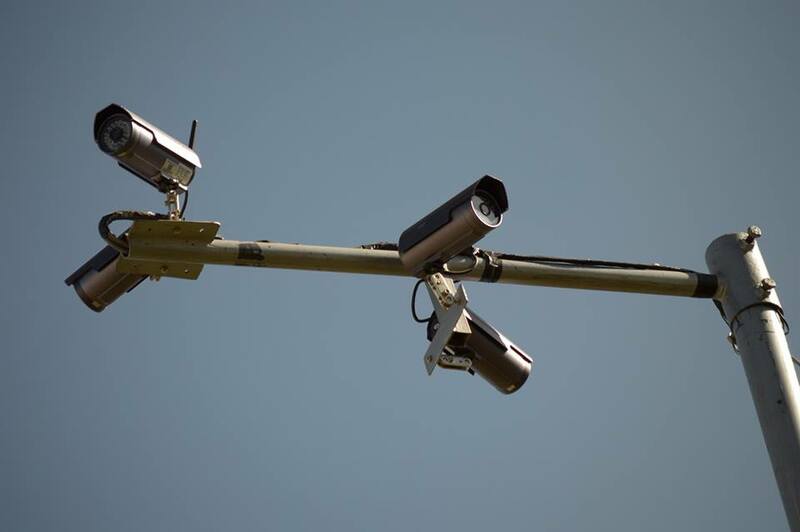 Machakos County CCTV cameras to provide 24hrs countywide surveilance. 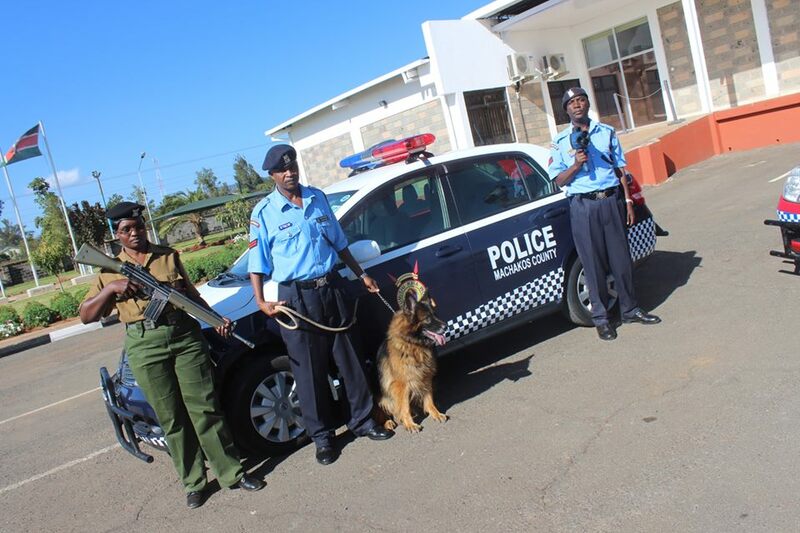 Machakos County Security Officers pose with a special trained dog and the new security cars. At the same time, Mutua announced that his county government plans to set aside Sh300 million for police housing in the next financial year. He also revealed that plans are at an advanced stage to establish a forensic lab, the first of its kind in East Africa region. What he is doing for Machakos County is so admirable and some governors need to borrow lessons from him. While other are busy getting big vehicles for their counties and mismanaging funds, their counterpart in Machakos is ensuring Machakos residents enjoy the fruits of devolution. Well, this is why the governor has now become the talk of the town?. You should visit his facebook page https://www.facebook.com/MachakosGovernor and see what he has done for Machakos County. On September 2013 a huge reservoir of water was discovered in Turkana County. This was the second major natural resource to be discovered in Turkana after oil was was discovered in March 2012. Results of a groundwater study showed that Turkana is home to a reserve of 250 billion cubic meters of water that if properly managed could supply the country’s water needs for close to 70 years. The finding, according to the government study, could heighten the country’s share of accessible water by 8.5 percent. It was also likely to double the amount of water that was available for consumption in the country today, ultimately improving the lives of Kenyans living in water scarce areas, Turkana being the major beneficiary. 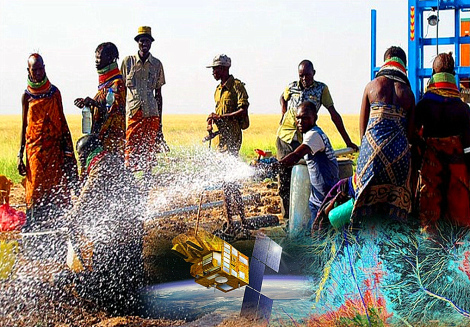 Turkana residents were promised to enjoy the newly discovered resource in the next two months after the water was discovered. More that six months down the line, Turkana residents are now facing the worst drought eve. Images of malnourished children on out television screens this week presented a very worrying situation. Cases of malnutrition among children are now on the rise. Local health facilities record an average of 10 cases of acute malnutrition daily. There was an instance where a woman even fed puppies to his family. This should not be the case in an area that has now been identified as the best investment destination. What happened to the relief food that is always being supplied in the area? Some MPs from the area while appealing for aid from the government to address the ongoing drought on the area, accused contractors assigned to develop irrigation schemes for being sluggish. However there have been reports that engineers will by the end of this week start pumping water to the residents from the huge underground reservoirs. Turkana residents will the start receiving the water in March. This is indeed a step in the right direction, but still it should have been done earlier. The government needs to give Turkana so much attention. In conjunction with the Turkana county government, it should ensure that the county takes the maiden steps towards producing its own food. We must agree with this, the county could just be a regional food basket. Maybe cases of famine will now be a thing of the past. The discovery of oil deposits should also also be a good step towards putting the poorly disregarded area on the world map, hence improving the living standards of the residents. Beautiful Africa Magazine (BAM) is a publication that strives to tell positive African stories. As a subsidiary of African Television, this magazine works alongside the network to promote the potential of Africa’s countires and people and proudly features those that are striving to reach it. Beautiful Africa Magazine is published monthly and is currently distributed throughout Europe and Africa. AFTV-African Television on the other hand is the only European licensed TV station designed to promote Africa.CEO-Founder, Pastor Larry Omodia launched the station on March 10th, 2012 in The Netherlands. Today Governors in the country met in Naivasha to discuss the progress they have made in regard to devolution. The summit which was organised by the Nation Media Group and be graced by Rwandan president Paul Kagame will dwell on the following themes: Governance and Leadershi which will include the following topics: Leadership, Making Devolution Work and Positioning your County in the Regional Community. 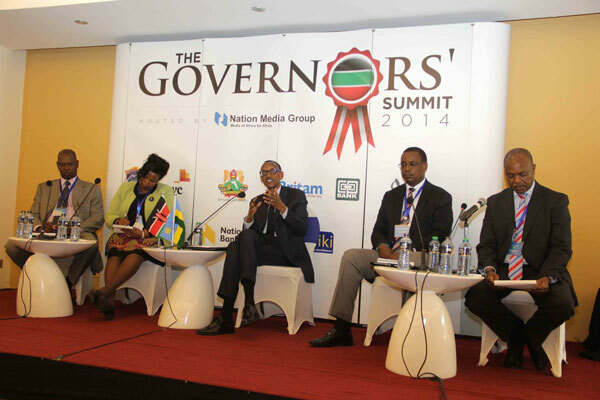 The summit is being held a midst a lot of challenges facing devolution. To start with, so many Kenyans are still in the dark about devotion. Little education has been given to Kenyans about devolution and this has create so much misunderstanding between the citizens and the county governments. Devolution was one of the hallmarks of the transition from a previously centralized political system, which was largely blamed for vast inequality, exclusion and deep divisions in the country. This meant that it not only brought services closer to the people but also improve their socio-economic status. However things are completely different, county governments are doing contrary to what Kenyans expected them to do. Governors have been on record complaining about Inadequate allocation of revenue to the county governments.They have been raising concern that the budgetary allocation to the counties is inadequate for full implementation of devolution. By law, counties are entitled to least 15% of the total National Revenue collected but there is still a feeling that budgetary allocations need to be increased, and that the central government is reluctant to do this, according to the governors. This has seen most county governments introduces taxes a move that has not been received well by residents. We have seen people from different counties holding demonstrations protesting about the taxes county governments is imposing on them. How do you then improve people lives by taxing them on everything? The current fighting that has been going on at the different levels of leadership is also one the biggest challenge facing the process of devolution in the country. President Paul Kagame while addressing the Summit urged Kenyans to use devolution process to achieve its national vision. The County Governments should be in the forefront in ensuring we achieve this. Kenyans are looking forward to reaping the fruits of devolution and are looking up to county governments this is achieved. We hope at the end of the two day summit, the Governors will have learnt something that will help push the devolution agenda forward. 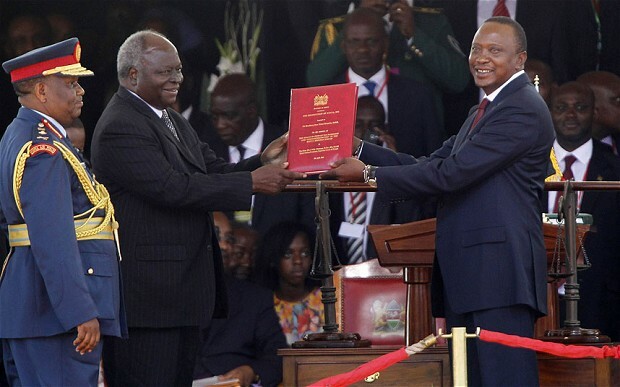 “To Argue that Mr. Francis Muthaura Should Not Be Given a National Assignment He is Eminently Qualified to Perform Just Because it is Going to Annoy Some Attention-Seeking Populists is to Stretch Credulity to the Limit!! This is a Calling to National Duty; and Grey Hair Matters, Too! !” – Veteran Journalist, Jaindi Kisero. This is the New Year gift that President ‪#‎UhuruKenyatta‬ has decided to give his poll looser friends despite a public outcry. The appointments according to a special gazette notice dated December 31, 2013 has seen leaders who lost in the last elections appointed to chair the boards of 10 State corporations. a) Abduba Dida has been appointed chairman of the Constituency Development Board (CDF) to replace Jennifer Nafula Barasa. He will serve for a period of eight months. b)Former Information and Communications Minister Samuel Poghisio, who lost the West Pokot senatorial contest on a URP ticket, has made a comeback to public office and will chair the Kenya Civil Aviation Authority (KCAA) board. c)Danson Mungatana (TNA), who also lost in Tana River has been appointed chairman of Kenya Ports Authority (KPA) board with effect from January 10 and will chair the board until October 30 this year. d)Njeru Ndwiga, who vied for the Embu Senate seat on a TNA ticket and had served the first term of the Kibaki administration as minister for Cooperatives, is the new chairman of Tanathi Water Service Board. He lost the Senate seat to Lenny Kivuti of the Alliance Party of Kenya (APK). e)Former Mt Elgon MP Fred Kapondi makes a comeback to the public service after he was appointed chairman of Kenya Post Office Savings Bank Board, commonly known as Post Bank, for a period of three years. f)The Deputy President’s previous ally, politician Patrick Osero has landed the post of chairman of the Agriculture Finance Corporation for two years. Osero contested the Borabu constituency seat on an ODM ticket last year, emerging second after losing to Wiper’s Ben Momanyi. This comes just a week after the appointment of former civil service chief Francis Muthaura as the head a multibillion rail, road and port project in Lamu which left so many Kenyans and leaders outraged. So how will Kenyans and other leaders react to this? It is clear that the president is disregarding public a outcry and going ahead to make crucial appointments. We will also be waiting to see the storm this is going to create in the Jubilee Alliance.